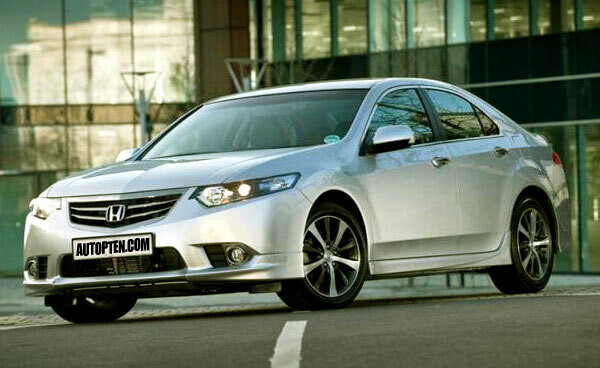 Honda unveiled the first images of the new Accord 2013, which will be on sale in fall 2012. The new Accord will provide a more spacious and luxurious cabin wrapped in a sophisticated exterior designed to stand out from its competitors. 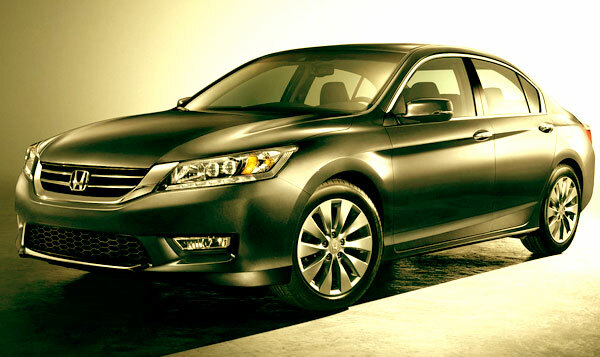 The 2013 Accord style is expressive, sophisticated and with a premium focus. In the front, features a new grille that complements the aggressive style that the hood gives it. The lateral has a strong presence flowing through the door handles and the beltline rises as it goes through the car towards the back to accentuate the feeling of movement. The style, in general, seeks to impose a cutting and sporty look, but without forgetting the luxury approach that Nissan wants to give it. The 2013 Honda Accord is one of the most famous sedans of the market in the medium segment, which in its current generation became a large sedan due to its bigger interior space and because the extreme and aggressive competition created primarily for South Korea and domestic brands like Chevrolet and Ford. Following the tradition established by previous Accords, this new generation, takes as focal point from inside to outside, the consumer. An intelligent interior allows you more space for passengers and cargo in both, the sedan body and the coupe, while the exterior length is shorter, contributing to a more dynamic and easier parking maneuvers. "This car is the most dynamic Accord so far," said Vicki Poponi, executive vice president of product planning for American Honda Motor Co. In its ninth generation, the Honda Accord does not incorporate a drastic change, but is a conservative model of more sculpted design and lower exterior proportions, without thereby reduces its internal capacity, rather the opposite. "Continuing with the Honda's tradition of focus on people, the exterior evolved from a focus on interior space and the needs of the people inside the car". On the street, the aerodynamic shape combined with the low drag coefficient that gives it the angle of the windshield and special treatment to the lower chassis of the car, promises good fuel consumption. 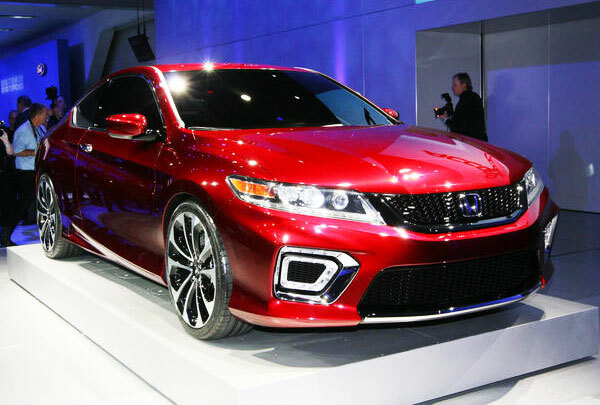 The 2013 Accord promises to be the most dynamic car in automotive history. It is expected that this version of smaller proportions and weight, provides a higher standard of dynamic performance. Premium details like the LED daytime lights give us a small taste of the sophisticated technology and luxury that will have inside. In regards of safety and comfort, the 2013 Honda Accord will add new technologies, these included the mechanism of lane assistance, collision warning and blind spot screen. They will also add the system to read text aloud through the multifunction display and Bluetooth, as the most relevant. Among the conventionally powered versions, we are going to see the four-cylinder 2.4L and the 3.5L V6 premium, whose power levels have not yet been revealed. Both versions will have available a six-speed manual transmission while the automatic will be the type CVT for the four-cylinder version and six-speed in the case of the V6. Any idea of how much is going to cost? It looks really good. Honda decided to renew its Honda Accord with the aim of increasing sales of this model which have not been very good in the latest years, let's see what happen, I think Honda need to change its designing team.